The Pakistan Tareek-e-Insaf (PTI) chief Imran Khan will take Pakistan's Prime Minister's oath on August 18, say reports. A senior PTI leader told the reporters that Imran Khan has invited his Indian friends Kapil Dev, Navjot Singh Sidhu, Sunil Gavaskar to attend the oath ceremony. The newly elected Prime Minister of Pakistan Imran Khan will take the oath on August 18, say reports. 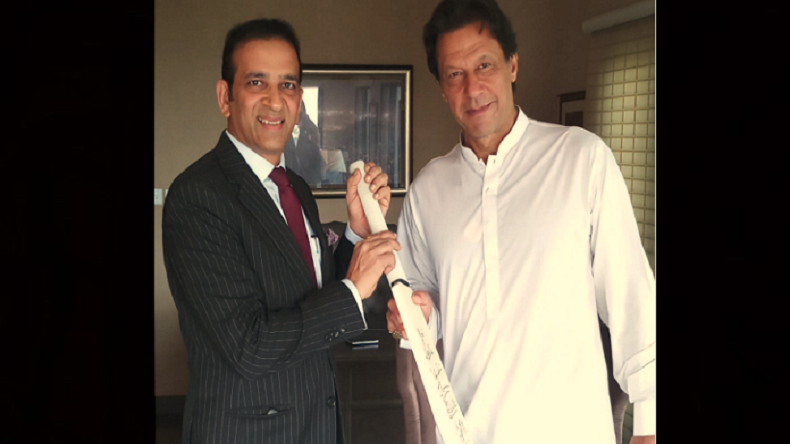 A senior leader of Pakistan Tareek-e-Insaf (PTI) told the reporters that Imran Khan has invited his Indian friends and former cricketer Kapil Dev, Navjot Singh Sidhu, Sunil Gavaskar to attend the oath ceremony. PTI senator Faisal Javed in a tweet said, “Imran Khan to take oath as Prime Minister of Islamic Republic of Pakistan on the 18th Aug 2018 inshALLAH (if God wills).” Imran Khan’s party has secured 116 general seats in the National Assembly Elections 2018. As per the Geo news, Pakistan President Mamnoon Hussain has postponed his visit to Scotland in after the announcement of the date of the oath ceremony. Earlier, Mamnoon Hussain’s Edinburgh visit was scheduled for August 16 to August 19, which is now postponed. “The president will now embark on his trip after the oath-taking ceremony,” the report said. Earlier today, Imran Khan removed the last hurdle in his swearing by writing an apology letter to the Election Commission of Pakistan for violating the voting norms. The 65-year-old Cricketer turned politician had contested from five constituencies and won all of them.